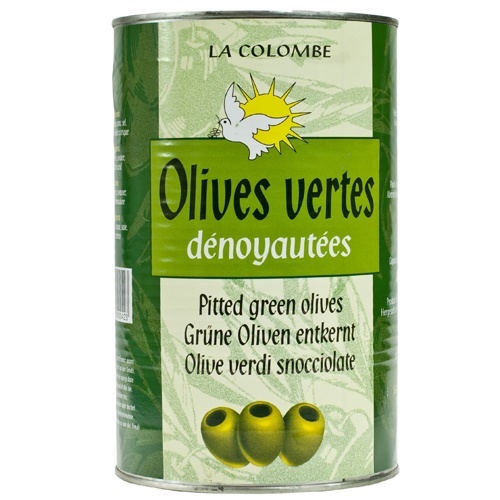 Green pitted olives in tin 5/1. Those delicious olives get their delicate taste from the sun of the Mediterranean Basin. Natural pitted olives, Salt, Acidifier: Citric Acid.